Brandon Sanderson writes gloriously epic fantasy novels, like the doorstopper-length books in his Stormlight Archive series. Case in point? 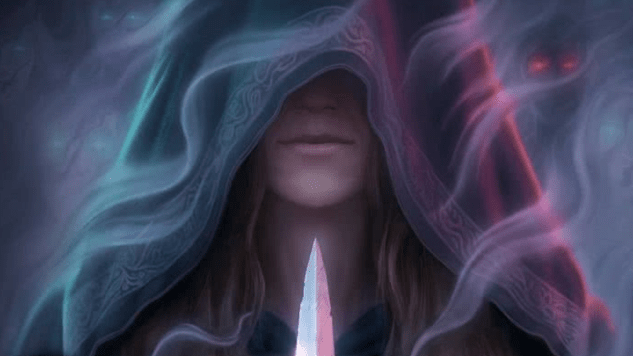 Today marks the release of Oathbringer, the series’ enthralling third book that clocks in at over 1,200 pages. But Sanderson is also a master of short fiction with award-winning novellas to his name. So when Paste interviewed him about his latest novel, we asked him which of his shorter tales are his favorites. The result is this curated reading list, featuring four Cosmere* novellas and one standalone story. Description: When Shai is caught replacing the Moon Scepter with her nearly flawless forgery, she must bargain for her life. An assassin has left the Emperor Ashravan without consciousness, a circumstance concealed only by the death of his wife. If the emperor does not emerge after his hundred-day mourning period, the rule of the Heritage Faction will be forfeit and the empire will fall into chaos. 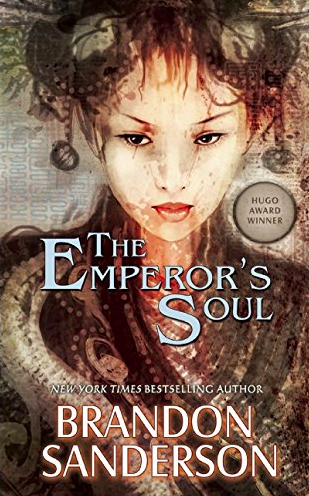 Shai is given an impossible task: to create—to Forge—a new soul for the emperor in less than one hundred days. But her soul-Forgery is considered an abomination by her captors. She is confined to a tiny, dirty chamber, guarded by a man who hates her, spied upon by politicians, and trapped behind a door sealed in her own blood. Shai’s only possible ally is the emperor’s most loyal counselor, Gaotona, who struggles to understand her true talent. Where to Read It: It’s available as a standalone hardcover, paperback, audiobook, or e-book. 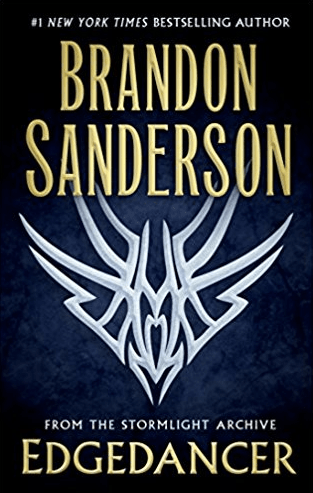 It’s also included in Arcanum Unbounded, the short fiction collection that rounds up nine of Sanderson’s Cosmere stories. Description: Stephen Leeds, AKA “Legion,” is a man whose unique mental condition allows him to generate a multitude of personae: hallucinatory entities with a wide variety of personal characteristics and a vast array of highly specialized skills. As the story begins, Leeds and his ‘aspects’ are drawn into the search for the missing Balubal Razon, inventor of a camera whose astonishing properties could alter our understanding of human history and change the very structure of society. The action ranges from the familiar environs of America to the ancient, divided city of Jerusalem. Where to Read It: It’s available as a standalone audiobook or e-book. 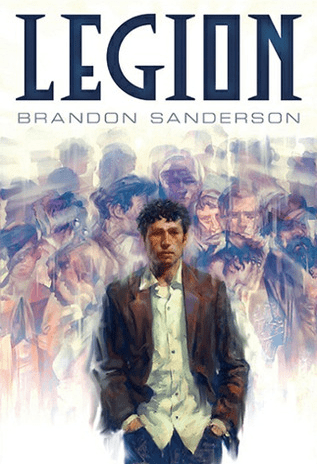 Sanderson also told us in this interview that he’s hoping to release the Legion trilogy in a single volume in 2018. Description: Three years ago, Lift asked a goddess to stop her from growing older—a wish she believed was granted. Now the barely teenage nascent Knight Radiant finds that time stands still for no one. Although the young Azish emperor granted her safe haven from an executioner she knows only as Darkness, court life is suffocating the free-spirited Lift, who can’t help heading to Yeddaw when she hears the relentless Darkness is there hunting people like her with budding powers. The downtrodden in Yeddaw have no champion, and Lift knows she must seize this awesome responsibility. Where to Read It: It’s available as a standalone audiobook, e-book, or hardcover (Tor just released it as one of their mini books last month). It’s also included in Arcanum Unbounded. Description: Amid a forest where the shades of the dead linger all around, every homesteader knows to follow the Simple Rules: “Don’t kindle flame, don’t shed the blood of another, don’t run at night. These things draw shades.” Silence Montane has broken all three rules on more than one occasion. 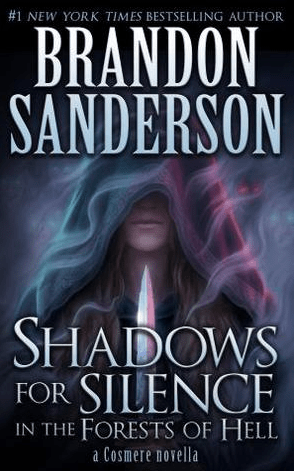 And to protect her family from a murderous gang with high bounties on their heads, Silence will break every rule again, at the risk of becoming a shade herself. Where to Read It: It’s available as a standalone audiobook or e-book. It’s also included in Dangerous Women and Arcanum Unbounded. Description: On the deadly island of Patji, where birds grant people magical talents and predators can sense the thoughts of their prey, a solitary trapper discovers that the island is not the only thing out to kill him. When he begins to see his own corpse at every turn, does this spell danger for his entire culture? Where to Read It: It’s available as a standalone e-book. It’s also included in Shadows Beneath: The Writing Excuses Anthology and Arcanum Unbounded. 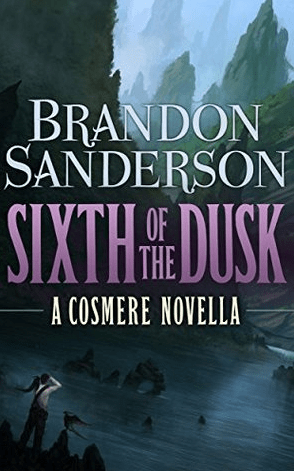 *The Cosmere is the epic shared universe in which many of Sanderson’s books for adults, including the Stormlight Archive and the Mistborn saga, are located. Frannie Jackson is Paste’s Books Editor. If you ask her about her favorite Sanderson stories, she’ll say it’s a tie between Legion and Sixth of the Dusk. She occasionally posts on Twitter.